Washington, DC - Military families face all the consumer protection issues other Americans face – and then some. Frequent moves and deployments can pose additional financial challenges for servicemembers. And some of these concerns continue even after they’ve settled into civilian life. That’s why the interests of military consumers – servicemembers, veterans, and their families – are front and center at the FTC and should be an important priority for companies doing business with them. Car buying. An auto purchase may be a servicemember’s first major financial transaction. Before making a big financial commitment, members of the military may benefit from consulting with an on-post financial counselor. As panelists noted, counselors can offer “been there” advice about making individual purchases and developing effective financial strategies for the future. Debt collection. Financial struggles can put a servicemember’s security clearance at risk. Panelists mentioned that counselors are at the ready with advice and assistance. 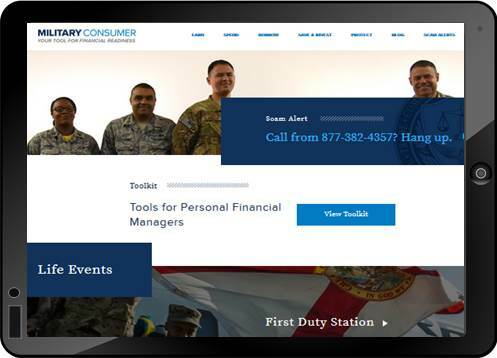 In addition, some debt collectors may threaten to contact (or may actually contact) a servicemember’s commanding officer about a debt, conduct that usually violates the Fair Debt Collection Practices Act. Servicemembers should report strong-arm tactics to the FTC, State AG, or BBB. Credit decisions. Military life can be disruptive and frequent moves and deployment may kick a consumer in the credit. Things can go from bad to worse when servicemembers fall prey to deceptive promises of loans or debt relief. Panelists discussed the options available when a military family is struggling with their day-to-day finances. Legal rights. Specific statutes – for example, the Military Lending Act – provide significant protections for members of military families. The Servicemembers Civil Relief Act (SCRA) also provides protections when servicemembers are deployed or on active duty. However, not all the benefits of those laws are automatic. Some require servicemembers to take steps to protect their rights. Financial literacy and capability. Panelists emphasized the need for ongoing financial education at every stage of a military career. Recent recruits may be away from home for the first time and managing their first paycheck. Mid-career servicemembers may face the challenges of buying a house, supporting a family, and saving for the future. Veterans and servicemembers transitioning to civilian life may face employment challenges or other financial issues. What needs to be done to adapt consumer resources to the particular needs of servicemembers and veterans? The Staff Perspective outlines other initiatives that are part of the FTC’s efforts. For example, the agency’s Economic Liberty Task Force continues to address unnecessary or overbroad occupational licensing requirements that hit military families particularly hard. The Staff Perspective also discusses law enforcement actions the FTC has taken to challenge deceptive practices that have injured servicemembers and other consumers. Finally, for just about every consumer protection challenge raised by the panelists, the FTC has resources available at www.militaryconsumer.gov. Why should this matter to your company? That “We Support Our Troops” sticker on the front door of your establishment should be backed up by honest business practices inside. Can military consumers, including servicemembers, veterans, and their families, count on getting a fair shake from your company?